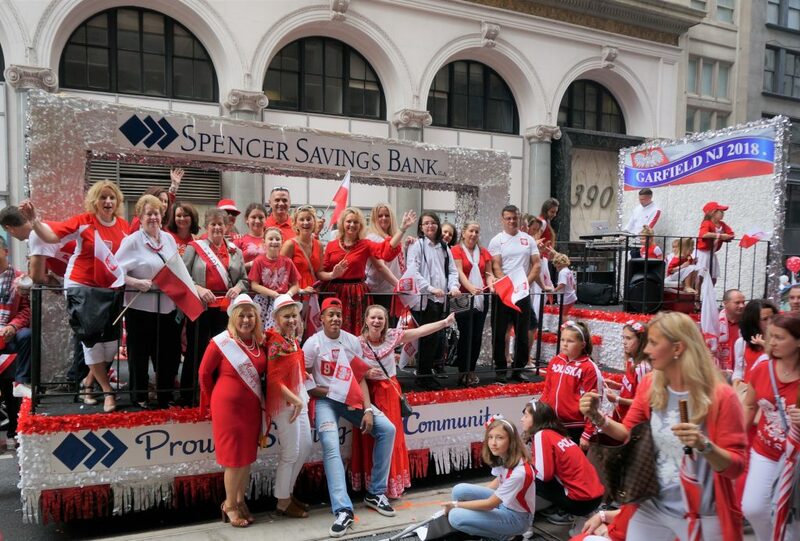 Spencer Savings Bank was proud to be a sponsor of the 81st annual Pulaski Day Parade in NYC on Sunday. The bank was proud to join Garfield in celebrating Polish history and heritage, as well as supporting Garfield’s City Manager, Thomas J. Duch, Esquire, who had the prestigious honor of being selected as the 2018 Grand Marshal of the parade. A team of Spencer employees rode the Spencer float and joined various Garfield organizations who all came out to support Tom and celebrate Polish heritage. Thousands of Polish-Americans marched down 5th avenue in pride – representing schools, youth and sports organizations, folk dance groups, businesses and parishes of the tri-state area. The theme of the 81st Pulaski Day Parade was “Celebrating the 100th Anniversary of the Rebirth of the Polish Nation”. Poland was able to be reborn due to the efforts of various individuals and the Polish people who came forward following World War I. The parade is named after General Casimir Pulaski, a Polish aristocrat and American Revolutionary War Hero known for his contributions to American independence. The event kicked off with a mass at St. Patrick’s Cathedral followed by a breakfast and then the parade. Parade officials estimate that 200,000 people turned out to watch the parade and celebrate.